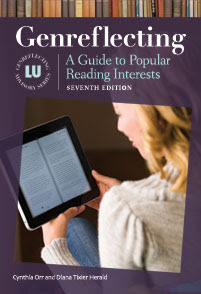 A few years ago books with a protagonist in college were adult books. Now they are YA or as some call them new adult. As an adult, but one who remembers that first year out on my own, I still can identify with the young women featured in these books. I freely admit that I'm a fangirl. Not a fangirl of characters (OK, so Miles Vorkosigan is my hero) but a big fan of authors. I get giddy when I meet them in person or when they dm me on Twitter or Facebook. 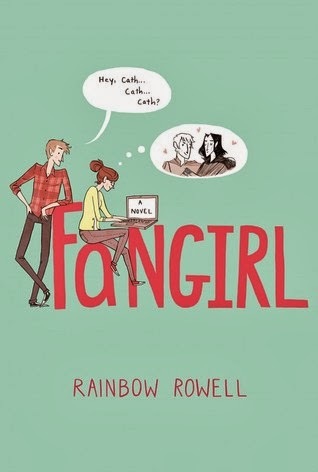 In Fangirl, Rainbow Rowell's latest novel, Cath is a fangirl of a book series turned movie series with shades of Harry Potter and Twilight. She writes slash fan fiction about her favorite characters and has accrued a huge internet following. When she and her identical twin go off to college in Lincoln, Cath is abandoned by Wren who has moved on from their shared interests when they were younger. Cath is lonely and isolated but the boy she thinks is her roommate's boyfriend keep encroaching on her life. This is a beautiful, heartfelt coming of age story with a smart but insecure heroine and thoughtfully depicted young men. Sarah Ockler burst onto the scene with 20 Boy Summer, a book I never got to read because the girls in the Bistro Book Club passed it from hand to hand and I didn't want to take it back when so many were sharing with each other. 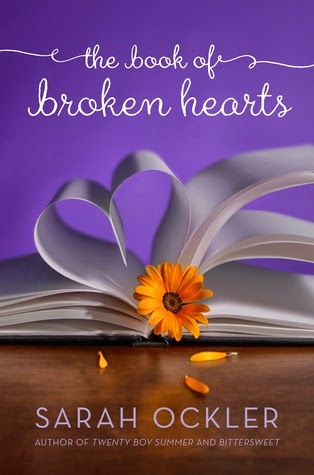 I liked Bittersweet quite a bit but her 2013 book, The Book of Broken Hearts is a definite keeper. Jude Hernandez will be going of to the University of Denver in the fall but she is spending her last summer before college hanging out with her beloved Papi who is suffering from early onset Alzheimers. A Harley Papi had ridden through out South America before emigrating to Colorado from Argentina seems to be something that keeps him in the present. Needing help to restore it, Jude asks for help at a local motorcycle shop and ends up hiring Emilio Vargas to help with the project. Unfortunately, years earlier when she was only twelve, Jude had made a pact with her much older sisters to never become involved with a Vargas boy. Now she is with one every day as she tries to make her dream for her dad come true. A good read-alike for Perfect Chemistry by Simone Elkeles. These books are very different from each other even though they both feature strong intelligent young women who have finished high school, who care deeply about their fathers who are having difficulties, and who become involved with really good guys. Both are winners in my book and as of this minute they are a couple of my favorites this year.